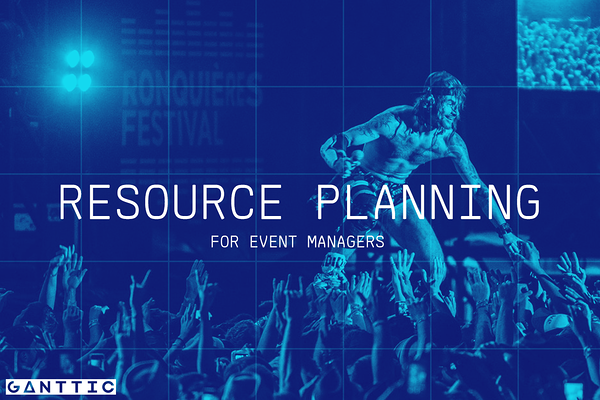 Resource Planning for Event Managers? If you are an event manager you probably see yourself as more of a project manager, not a resource planner, right? Let me prove you wrong. It actually depends a lot on how you interpret the things you do. Granted, all people who manage projects can be viewed as project managers, but at the same time, they forget, that they’re actually planning resources as well. The same applies to event managers, who in my eyes are more like resource planners, not project managers. Regardless of the nature of the event, you’ll always have to manage and plan your resources. Be its premises, the entertainment at the event or catering, you cannot escape the fact that they are all resources that need you to govern them by planning ahead. So what are the event manager’s friends in resource management? A resource planning software is definitely something you need to think about. True, project management tools can also be quite nifty and they might seem to be perfect for event management, but then again their focus is often totally different and they’re not the best kind of tools to be used in managing events. Not my first choice. The good ol’ calendar is definitely one of the things you need. In this day and age, I cannot imagine anyone using a paper calendar, but then again, people are different. By the end of the day, it’s not the tools, that matter, it’s how they work and how they’re used. On the other hand, if you’re using a digital calendar (both, in your phone and in a resource planning software), it’s important to keep in mind that they can be synced - two autonomous calendars created for the same cause will do more harm than good. Event management might sound like a pain, but in fact, it’s just planning ahead - being sure, those specific things happen in a specific order. The rest, like they say, is details. We covered why is resource management important in general in another blog post. Have a read!